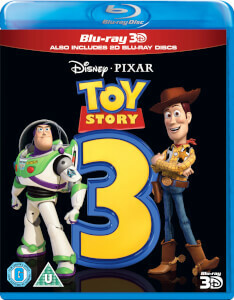 From the filmmakers behind Finding Nemo, Cars and Up comes the celebrated comedy, Toy Story 2. 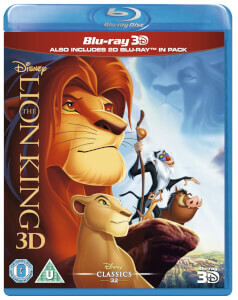 Watch your favourite characters jump off the screen as you rediscover the humour, heart and friendship of this hilarious adventure that goes to infi nity and beyond in astonishing Disney Blu-ray 3D! 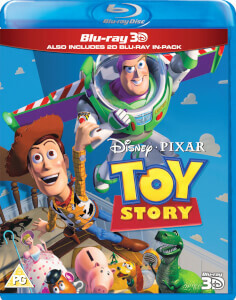 Enter Disney and Pixar’s incredible world with Woody, Buzz, Jessie and Bullseye in the movie that shows us what being a toy, and a friend, is all about. 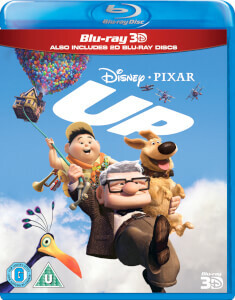 This must-have comedy classic is the perfect addition to your Disney Pixar collection, and, now on Disney Blu-ray 3D, you can get closer to the fun and excitement than ever before! It’s Magic In A New Dimension. Toy Story 3 Sneak Peek "The Characters"
Great for kids and adults alike. As usual, Pixar have outdone themselves on both animation and story. The 3D really adds to the experience, and there's plenty of special features to delve into as well. Recommended purchase!